Sam Darnold’s spot on the sideline will be temporary. He won’t be Wally Pipped. When his sprained right foot heals, the rookie will be back under center — no matter how well Josh McCown performs, coach Todd Bowles said Thursday. 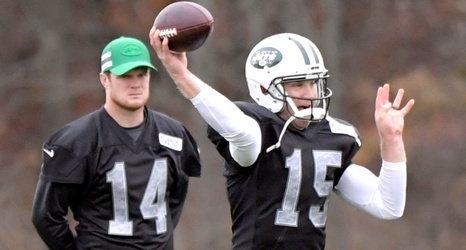 “Sam is our quarterback,” Bowles said, when asked if McCown’s play could influence his return. Bowles wasn’t ready to rule out Darnold for Sunday’s game against the Bills at MetLife Stadium, but he did say the 39-year-old McCown will start, leaving open the possibility the 21-year-old Darnold could be the backup.